Description: Retire in style! 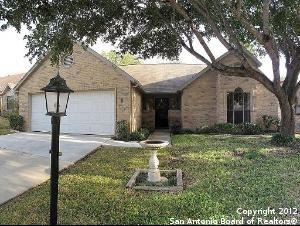 Immaculately maintained one owner home with excellent floor plan! Fresh paint...Move in ready! Pretty parquet wood floor entry! Huge living room with vaulted ceilings & corner fireplace! Chefs will love the big kitchen with center island & breakfast area! Fabulous master retreat with bay windows, 2 closets, recessed lighting, room for sitting area & walk in shower! Large secondary bedrooms! Private patio area off screend in porch! 1 buyer must be 55 or older. Lock & go neighborhood!